Camera’s Ready! – Ocean Here We Come. Today we woke up to a refreshing sight. Sunshine and blue skies! Now that is my chocolate! Coming from Kelowna, we are use to cloud cover and grey skies through out the winter. It’s a downer, but it does ensure that we don’t get massive cold spells and allows the fruit trees to make it through until spring arrives again. I suffer with S.A.D. Months or no sunshine make me feel blue. After a month of crappy weather in Langley, BC, I can not tell you how good I felt to see the sun. It was about 17 above too! Woohooo! Off to the beach, and this time I have my cameras. I had gone through some of the video we had tried to catch and phone shots from the day before, and there was a lot of nothing. 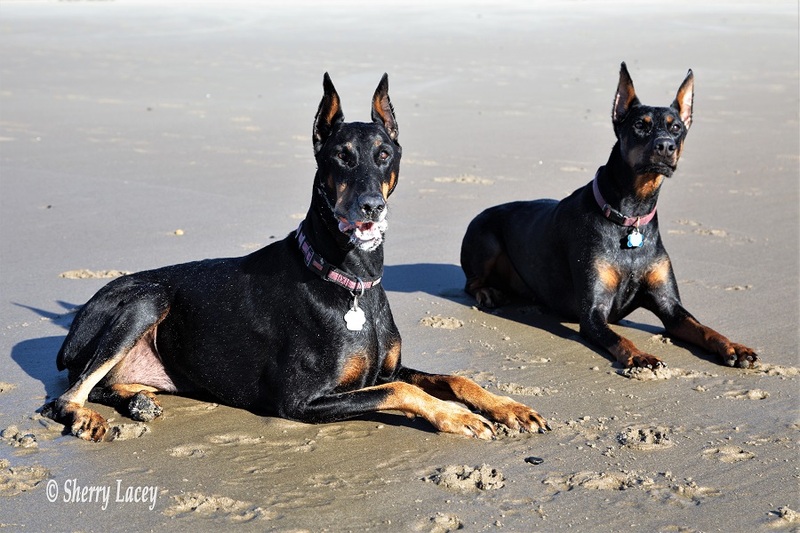 Did you know that Dobermans can run 35 miles and hour or faster? I am afraid my panning skills without the use of a tripod are just not that good. Today, however, I am armed with good gear with awesome fast shutter speeds and the ability to catch some great shots in spite of lighting changes. I took down the wide angel and the telephoto lenses. Go ahead suckers…. make my day! I am armed and ready for the action to begin! As before, once the leashes were off, it was a rodeo. I guess it’s a long weekend today, so there are a ton of people down there, but there was no issue finding some wide open space. The ocean was still angry today. I guess that is to be expected because technically it’s still winter here. 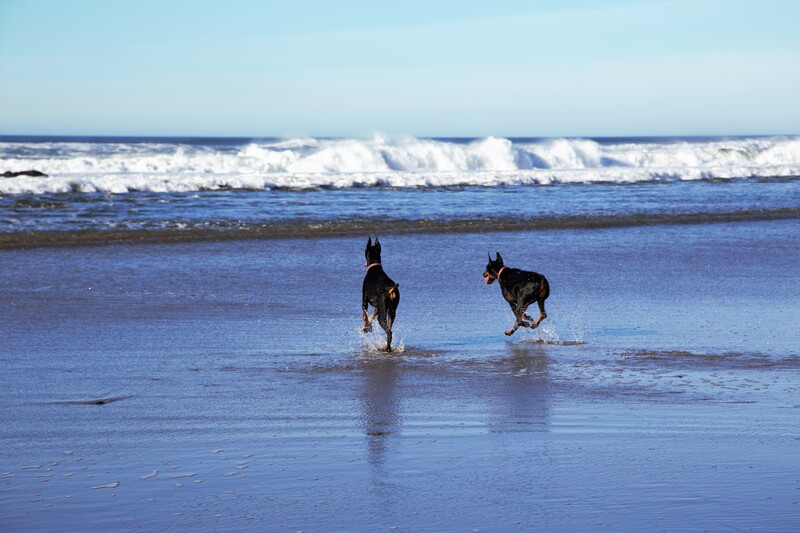 As usual, they tore up the beach, and had a blast trying to outrun the tide when a huge wave shot the water in several hundred feet more then expected. 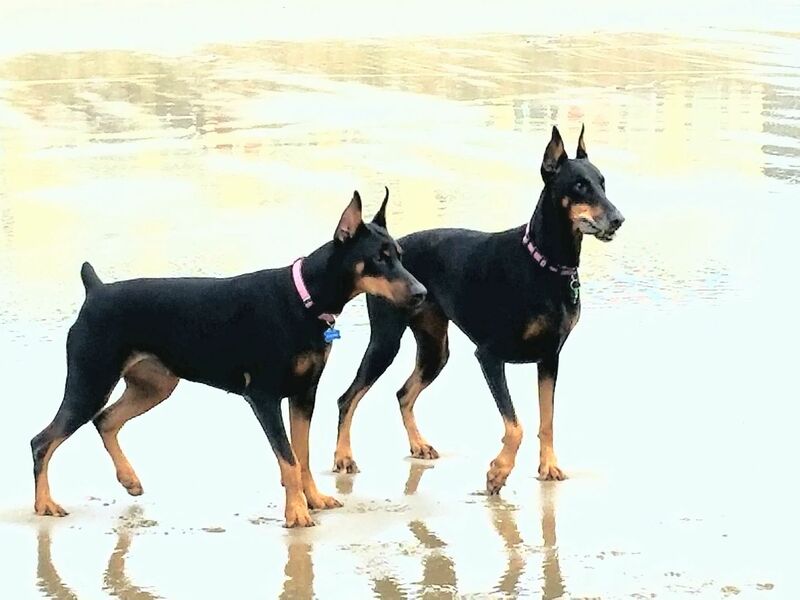 We got soaked, and the dogs were full of sand and completely elated! I am not sure how many shots I got, but I know I will be picking through them for a long time. After 3 hours or so, we brought them back to the unit, and as they did the day before. Water was on the menu and then they were out like Christmas lights on the sofas. Joy joy joy. Tired sleeping babes! They were so exhausted in fact that Doug and I got into dry cloths and we headed further up the beach by ourselves with camera gear in tow. I was looking for some interesting shots. Although we walked forever, there really wasn’t any spectacular aside from the sun setting. 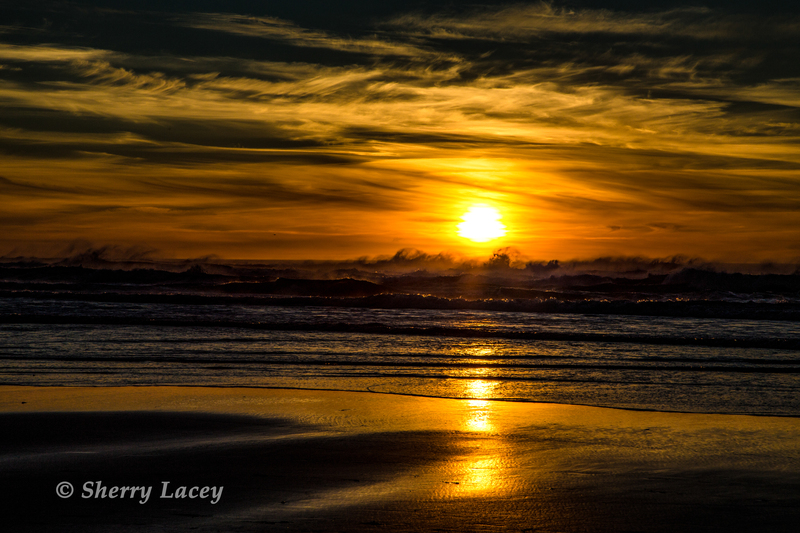 I have be be frank…..I think I caught some of the best sunset photos I have ever managed to get. I was trying a variety of settings on the camera, and each change resulted in some interesting images. By the time we got back to the jeep it was dark, the ocean was empty of its visitors, so we just stood there for a while and took in the sounds of the ocean waves that we could no longer see. The odd campfire dotted in the distance, but other than that is was just the roar of water, and darkness. When we finally made it back to the Coach, the girls were still sleeping. They were so tired in fact that they didn’t even get up to greet us when we came in the door. We may stay here tomorrow and try to finish off the blog. We have a couple of days with all the data we purchased so I suppose its best to get it done as best we can before we have to start paying serious data charges. We hope you are all well…and safe! Our plans for Monday are to head down the 101 for a few days and then cut over to L.A. We have made arrangements to meet and spend some time with MaryAlice from FB. I am so Excited!!!! Howdy there Miss Sherry and Doug..My thoughts and prayers at losing a family member.Congrats on the blog I love it and all the photos.Only more memories and roads to travel..Happy trails ahead.. Thanks Mary Miller! I am glad you enjoy the blog thus far! Aside from a few days of sun we have been in snow or ice storms, and it has rained buckets most everyday as we make out way down the west coast. We will be headed to the LA area and then cutting over to the Sulton sea before hitting the total warmth we need in Yuma, Arizona. I can hardly wait to have power hook ups so I can go in and edit a ton of photos I have. Yesterday I was about 30 feet from a herd of huge wild Sea Lions… Gee that was something! We miss our Santana beyond belief…..it was such a terrible loss… Chicago is not eating much and very sad. 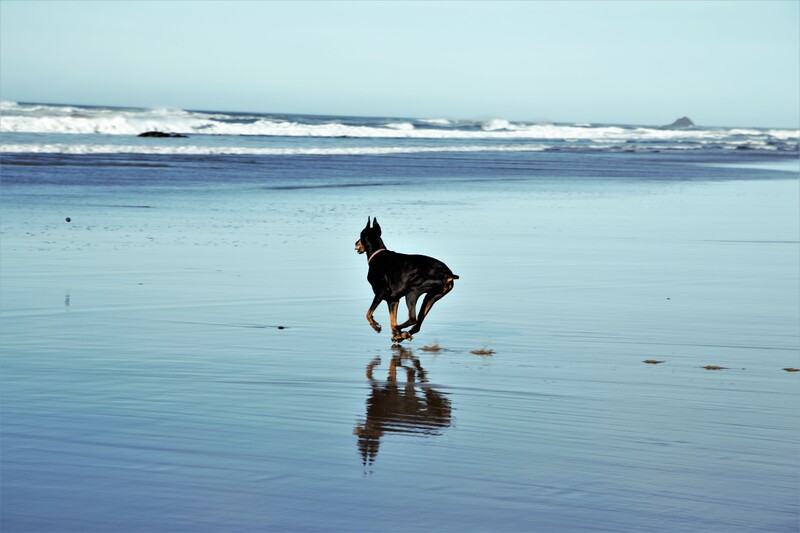 I am glad we have her with us…she would have loved to run in the dunes in the desert. Thanks again Mary. Giant hugs. YES SHE DID!!!!!!!!!!!!!!!!!!!!!!!!!!! PTL… answered prayers. Massive loss and heartache though. Will be updating the blog here soon. We are too Kathleen Manthey… I prayed for the good Lord to allow us to get her back to her Chocolate (the Oregon Coast)… and with mercy He did…. she passed the same day we left Oregon. Elaine Hebert…. This comment means so much to me as I know now when you wrote it, and the plans God had for you shortly after your post to me last night. I love you so much and am devastated I will not be meeting you as planned, this side of Heaven. Take care of Santana for me… and give my mom a hug. I loved you to the moon and back and always will Cherish every second we had as friends, and as you called it… sisters. I will treasure your gifts always. I have them with me in the RV. They are as precious as you. 🙁 Words can not express how beautiful you were.